During one of my winter breaks in law school, I ditched my family for the holidays and spent two weeks in Italy. 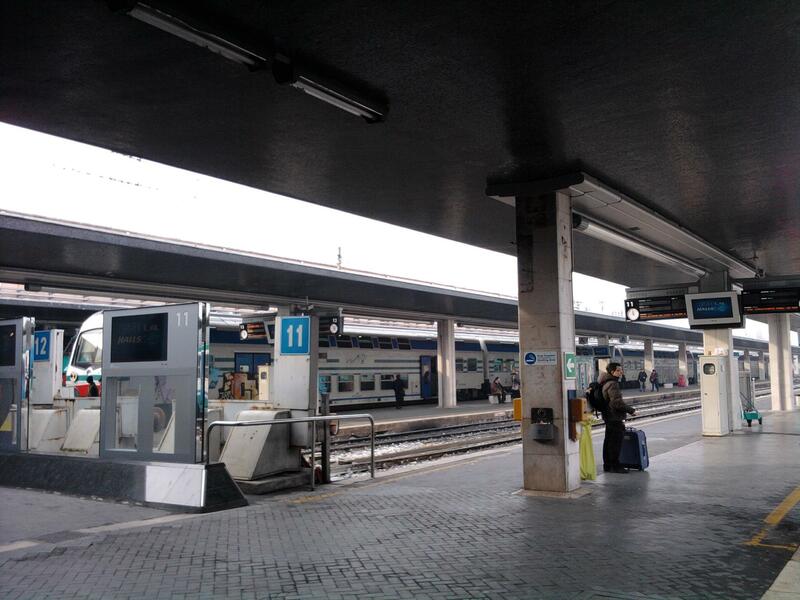 After flying into Fiumicino Airport, I hopped on the train to Termini Station in Rome. Having learned a few lessons in Tokyo and Seoul, I expertly made my way on Rome’s subway system and found my accommodations for my first night or so in Italy (that’s right—no wandering around with my luggage looking for my hotel this time!). I stayed in a private room at the B&B Night and Day. Nigh and Day was in a nice quiet area around the corner from a subway station and within easy walking distance of Trevi Fountain. I’m not sure I’d really call it a true bed and breakfast. It’s sort of an apartment suite that rents out the bedrooms and they don’t serve breakfast there. Rather, they give you a little coupon which you can use to redeem a pastry and drink at a nearby cafe (which, I think, is preferable to just sitting and eating in the apartment itself). 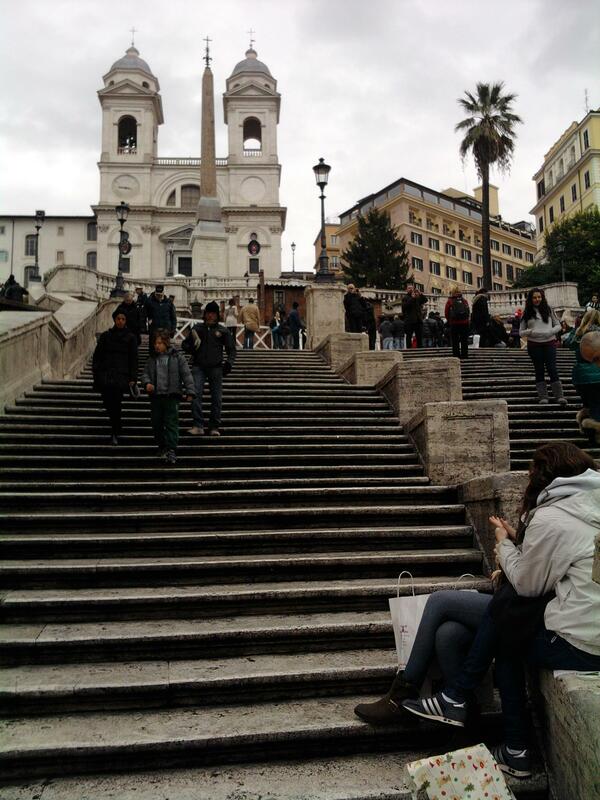 My first day in Rome, I spent a few hours walking around the city in a giant circle to the Trevi Fountain, the Pantheon, the Colosseum, Castel Sant’Angelo, and the Spanish Steps before I got tired and returned to the Night and Day for a rest. I met the folks staying in the other room of the Night and Day, folks from from Brunei (they were studying abroad in Scotland and traveling other parts of Europe during the break). Being awesomely American, I had no idea where Brunei was at the time. As soon as I got the chance, I Google’d the country and learned a bit about its history, its unique military situation, and other stuff (which I’ve since forgotten). There was at least one other person at the B&B we also talked to, but I’ve sort of forgotten. I’m going to assume it was an Australian guy (because anywhere you travel, at any time of the year, you will meet an Australian guy—it’s inevitable). The five or however-many of us went out to dinner together and grabbed some dessert. I’m still in mild contact with some of the Bruneian folks (and met up with them when I went to Scotland on another trip). They’re very nice. Not as into drinking as I am (considering where they’re from, it makes sense), but nice. One of these nights in Rome, I made my way down to The Yellow for the hostel bar. It wasn’t all that lively considering how close to Christmas it was, but I’d be back. 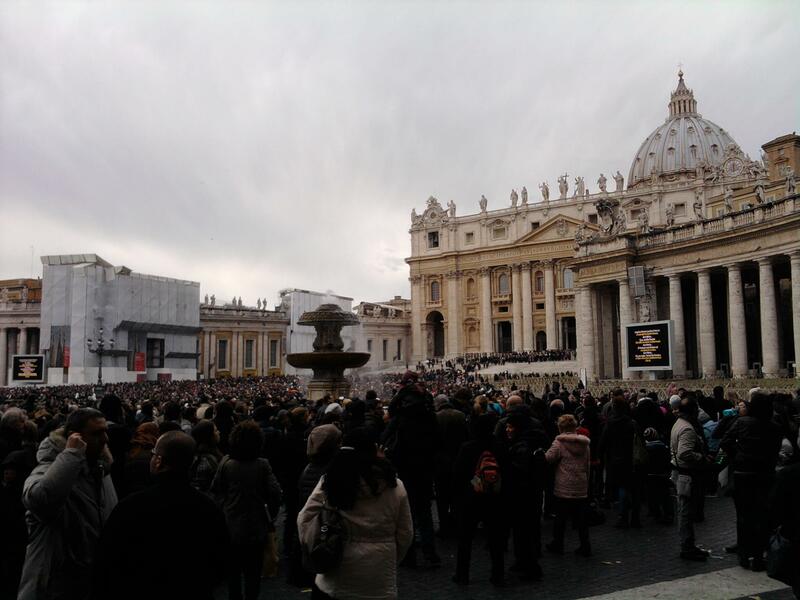 The next day was actually Christmas Day, so I went to stand among the crowd out in the Plaza of Saint Peter (Piazza San Pietro). Having not reserved a ticket to get into the Basilica for Christmas Mass (sounded too hectic for me), I ended up just people watching for a minute before wandering down Via Ottaviano to a fairly lively area north of Vatican City. 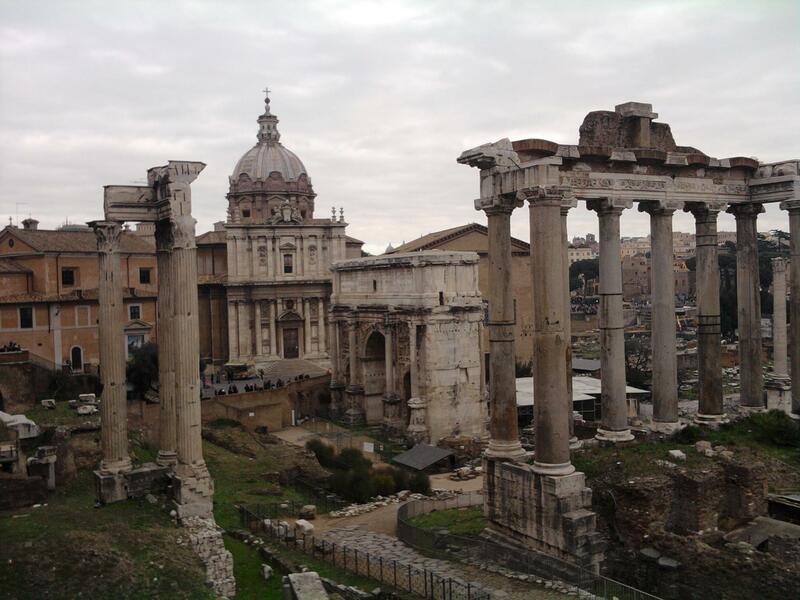 Since I planned on meeting my brother in Rome a week later, I didn’t stay in the capital for long after my initial arrival. 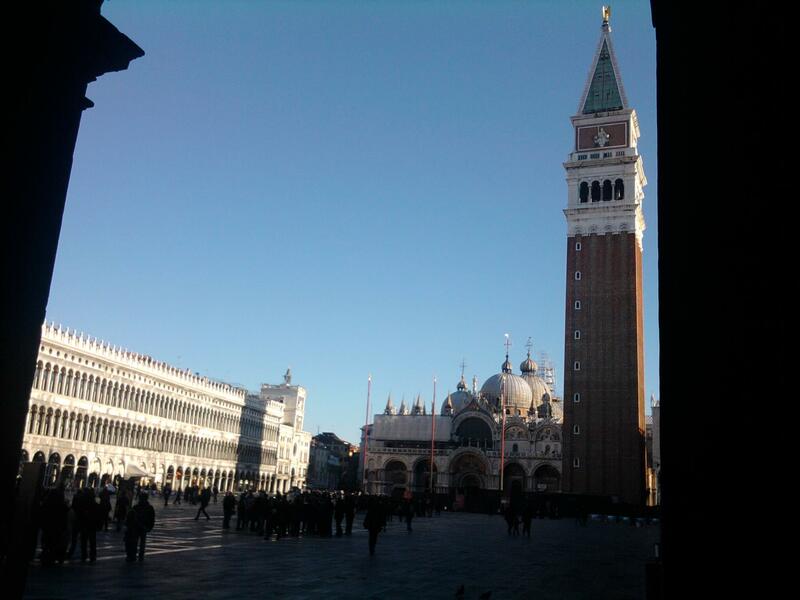 The day after Christmas, I got on a train and shot up to Venice where it was substantially colder (still no snow, though they did salt some of the walkways to melt ice that formed overnight). 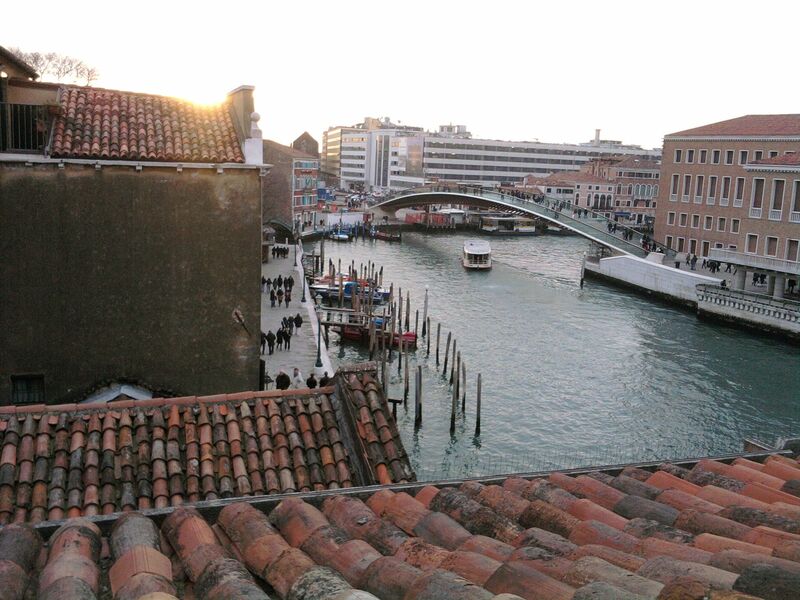 View from my hostel window (I think). Having done some proper research, I managed to avoid getting lost. The hostel wasn’t too hard to find—just had to cross the big bridge east of Santa Lucia Station, turn right, and look for a big red door for the Residenza Santa Croce (pretty good hostel in a good spot; it may be because it was right after Christmas, but it was also clean and not too crowded). When I got to the six-person dorm room, there was no one in there. However, the luggage and clothing by the beds indicated that the room was nearly filled to capacity. As it was the middle of the day, obviously the other folks were out being touristy. After some solo-exploring, I came back to the hostel and met my dorm mates: a guy (from Hong Kong), and three young women (from Australia, South Korea, and a country in South America—I don’t remember which). It didn’t take much convincing on my part to get everyone to agree to go to dinner together (hostel people are normally pretty friendly). We went down to a place called Brek, a sort of low-end cafeteria-style restaurant. The food wasn’t the greatest, but it was relatively cheap and conveniently located near the train station and our hostel—good enough for me to return a few times. An additional plus was that the restaurant had free wi-fi (the wi-fi in our hostel was basically non-existent). On day two, being the only two Venice-noobs who haven’t walked to San Marco yet, the guy from Hong Kong and I spent half the day walking across the island to see the church and the plaza before it (it’s the biggest tourist destination on the main island). The walk itself was entertaining, seeing the canals, buildings, and people along the way, and the plaza itself was pretty cool (we didn’t opt to stand in line and pay to get into the church or the tower). 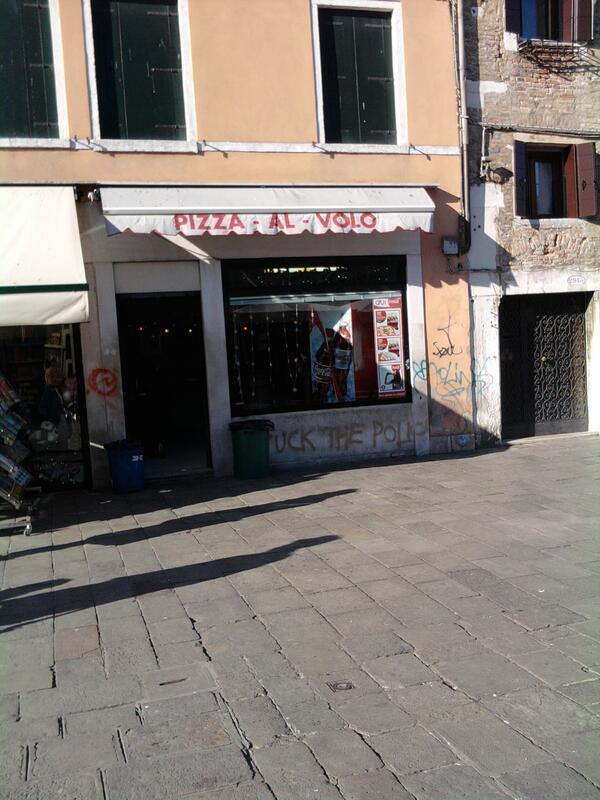 Pizza al Volo. Excuse the partially obscured foul language graffiti. In another plaza near a bunch of schools and libraries there’s a place called Pizza al Volo which sold what I could call a New York style pizza by the slice for just two euros a piece. It was good, and I would assume it’s priced that way because it’s near the schools. I don’t think there’s a place to sit inside, but one of the awesome things with Italy is its many plazas. On my second visit to Pizza al Volo I sat outside and watched some kids kick a soccer ball around (er, a football—and in a non-creepy manner). Something notable about Venice is that it pretty much has no night life. So, on night two, I rallied the Australian girl and Hong Kong guy to go pick up some alcoholic beverages from the supermarket and drink in our hostel. We didn’t get particularly wasted, but it was fun. A house on one of the islands. On the third day, I think all my original hostel buddies left except for the girl from Australia who also ditched me for the the morning to go on a day trip to Verona. 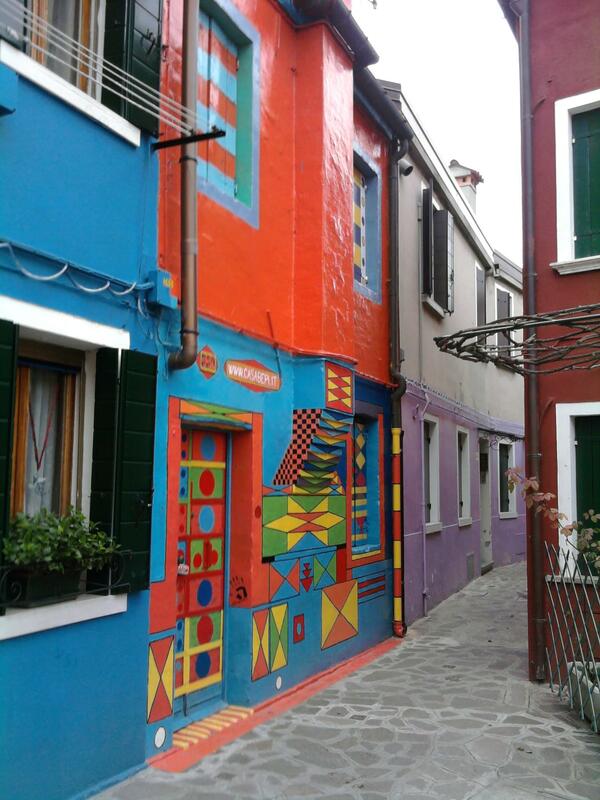 It was okay, though, as I sort of had other plans: taking the water bus to the other islands—Murano, known for blown glass, and Burano, known for its lace. While on the water bus, I was recognized (purely from my clothing) as an American by a Californian woman traveling with her Italian husband and his friends—more Italian folks (including an adorable little girl of about five or so), and a nineteen-year-old German girl who interned at the husband’s work. Pretty random, but this led me to what was probably the best meal I had while in Italy. Eating with Italians while in Italy is a pretty good idea. That frutti di mare pasta was worth every cent. I’m not sure why I remember this of all things, but the Italian husband (who had moved to the United States for work) was complaining about how it was really hard (or impossible) to get good bread in the States, and that he thought ketchup was kind of gross. He said something along the lines of ketchup being a weird sugared-up version of tomato sauce. 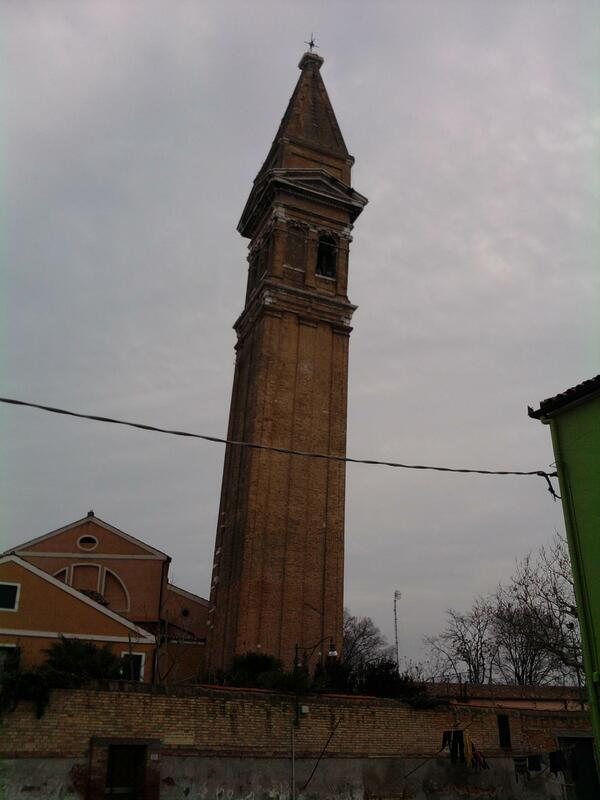 Oh, and one of the other Italian guys also pointed out a tilted church bell tower, saying that Italians can’t build straight (referencing the Tower of Pisa, of course). Back at the hostel, the Australian girl and I returned to our beloved Brek. Kind of dorky and adorable, the girl from Brisbane (which she affectionately referred to as Bris-boring) was a bit too young for me to really pursue romantically. She’s part of the generation that really grew up with Harry Potter. She confessed to me how disappointed she was when she turned eleven and didn’t get a letter from Hogwarts. Shortly after she found out she was a Muggle, her father introduced her to The Lord of the Rings, making her an adorable nerd for life. She also has a tendency to trip over things, and slip into puddles of mud. 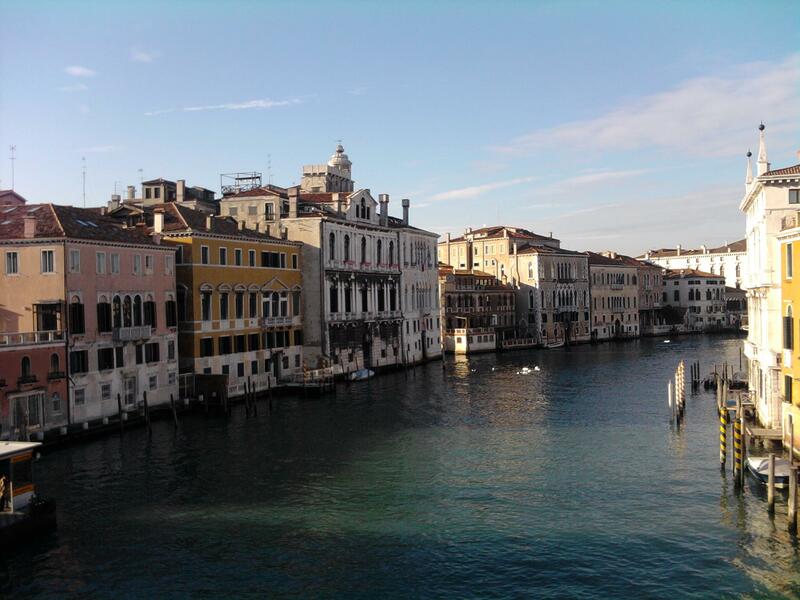 On my fourth day in Venice, I felt I’d already done most of the normal touristy things I could there (at least for a person with a moderate budget). The girl and I walked down to the end of the main island, away from all the other tourists, to a little park at the end. On the way, there were a bunch of houses occupied by locals as opposed to abundance of hotels and restaurants you see on other parts of the island. For dinner, we ventured away from the cafeteria-style Brek to a more proper restaurant. She laughed awkwardly when the waiter assumed I was going to order for her. I asked her why though it was obvious she was laughing ’cause the guy thought we were on a date. That night, we were surprised with a new roommate when we got back to the hostel—a kid from Belgium who spoke English like an Englishman. He was perfectly nice, but he basically turned the lights off on us at some absurdly early hour (maybe 9 or 10 PM). The last day in Venice, the girl and I went to some cafe in the morning for breakfast where she utilized more free wi-fi to book a weird set of train tickets to make her way up to Paris (a lot of the trains were already booked up). I, on the other hand, already had my train tickets to go back to Rome and meetup with my brother. 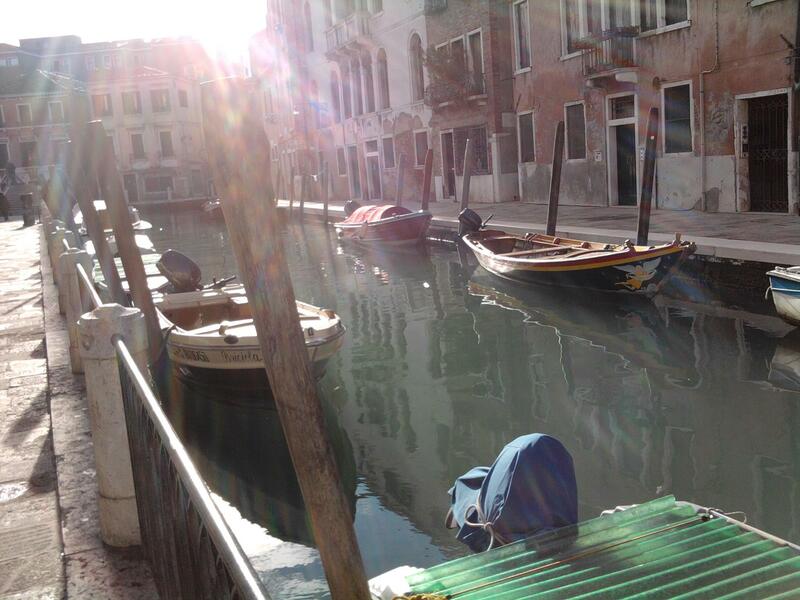 We said our goodbyes and parted ways (well, I’m still facebook friends with five or so of the people I met in Venice). Finally decided to get a proper domain name. No more admartinwriting.wordpress.com (well, it’s still there in a sense). Looks like I’m going with another dorky supporting character: first was lovable loser, Milhouse Van Houten of The Simpsons, and now, the equally awkward Podrick Payne of A Song of Ice and Fire (and Game of Thrones). So, if you aren’t quite up to date with Game of Thrones, you may want to avoid reading this post due to the likely presence of *SPOILERS*. For this post, I wanted to find a character from GRRM’s series who isn’t obviously awesome, which sort of precluded a lot of characters whom I assumed would show up in most people’s lists of top ten favorites (e.g., Daenerys, Jon Snow, Arya, the Lannister brothers, Brienne, Bronn, the Hound). Clearly, I wasn’t going to go with a character I’m not a fan of, either (e.g., Sansa Stark, Viserys, anyone with Bolton or Frey blood). With the huge cast of characters in the series, there’s more than a few who are pretty cool but aren’t too popular, like the Blackfish (Catelyn Stark’s uncle), Jorah Mormont (whose popularity seems to have risen thanks to the HBO adaptation), and Syrio Forel. Ultimately, I wound up choosing Podrick Payne. All Is Lost (2013) was written and directed by J.C. Chandor and stars Robert Redford as an unnamed sailor. Redford’s character’s just lying in the cabin of his boat minding his own business when he notices water getting into parts of his boat where you wouldn’t normally want water to be. Stupid water. Upon inspection, the sailor finds a big hole on the side of his vessel where it struck a freight container that happens to be floating in the middle of the ocean. That’s just the beginning of his troubles. Netflix describes the movie as one “which has no dialogue,” which isn’t entirely true. Mr. Redford gives us a few sentences right at the start and utters a single curse word somewhere in the middle. Other than that, though—yeah, there’s no dialogue. Unlike a certain other film about survival (which I previously ragged on in my review of Moon and the comments), you don’t need expository backstory to understand the desire to live and the temptation of giving up. Through no fault of the film, I spent the first thirty minutes simultaneously reading Yelp reviews on my phone. Eventually, I set the phone aside and gave the film 100% of my attention—I might go as far to say it was because the film demanded it of me by being so darn compelling. A few summers ago, I went to Seoul to study abroad, taking a class I believe was called International Business Law (It concerned mostly pragmatic issues companies face when they do business abroad, and a whole lot of history about the South Korean legal system. Sort-of-fun fact: prosecutors in South Korea are from the top of their law school classes and, unlike U.S. prosecutors, they have a more direct role in investigating crimes, making them like a hybrid attorney-detective—awesome. Sorry, I’ll get back to the travel stuff.). I have no idea why I took such a crappy photo. Younger-me sucked at taking photos. My guess is that I just wanted to take any photo with some Korean text (한글) in it. My plane landed sometime in the evening and I bought a ticket for the last so-called Airport Limousine Buses for the day which took me from Incheon International Airport to the center of Seoul. For a while, I was the only person waiting outside for this bus, so I was a bit worried that I’d somehow missed it entirely. As you can see in the accompanying image, a handful of other people eventually showed up. Dropped off in downtown Seoul, I pulled another A.D. Martin and lugged my bags around for a ridiculous amount of time trying to find the Best Western hotel I’d Google’d prior to leaving Los Angeles. So, I gave up and checked into a nearby hotel instead. The nearest one was Lotte Hotel, but it was a bit out of my price range, so I walked next door to the President Hotel. If I remember correctly, it cost me around $120 which was rather pricey for a student, but I needed some place to leave my crap for the night. A few distinct memories of this hotel: all of the other guests were Japanese for some reason, and I couldn’t get onto the wi-fi there. The next morning, I took a taxi to Kookmin University (국민대학교) which was sort of built into the recesses of the mountains in the north of the city. If I was a better photographer I would’ve taken a photo that showed this off. The apartment building they dangled before me before snatching away. When I went to the front window of the dorm I was supposed to be staying at and tried to tell the security guy that I was there for the study abroad program, he brought me next door to an apartment building and showed me to a considerably large one-bedroom suite with its own bathroom and living room. It was too good to be true. The thing with the guard was that he spoke less English than any random student I could have grabbed on campus. Turns out the dude thought I was a visiting professor of some sort (despite being in my mid-twenties at the time and looking like I was in my early twenties) and brought me to the wrong place (actually, through one of my classmates, I later met a young-ish South African woman who was in Seoul teaching English and living in one of those apartments). Dormitory D for international students. The undergrads we met later were jealous that we law-abroad folks got 4-person rooms to ourselves. Some school faculty guy eventually showed up and corrected the mistake, and they sent me to my dorm room. Being a law student studying abroad, however, I at least got a 4-bed ensuite dorm room to myself (yep, still had my own bathroom). Some random student-made art on campus. The funny thing about the dorm was that the front door automatically locked itself at a certain hour (I think it was 11 PM), enforcing the undergraduate curfew on us (I think you could get out, but then you wouldn’t be able to get in without calling people and waking them up). That was pretty ridiculous, considering the fact that my law classmates and I were all in our mid-twenties or older (there was also a thirty-year-old, and a guy in his—I’m not really sure—forties or something). Convenience store behind our dorm. Ah, the memories. So, whenever we were out late doing grownup things, we were locked out until 5 AM. One of the law students from Hawaii eventually made friends with some of the undergraduates living in the dorm, and introduced the rest of us. The undergrads showed us a way to sneak back in. It involved a bit of climbing and being of a certain slimness to get in through a window in the basement, but it worked. Some of my larger friends had trouble getting in, but we made use of it a handful of times.